Disney Princess Group. 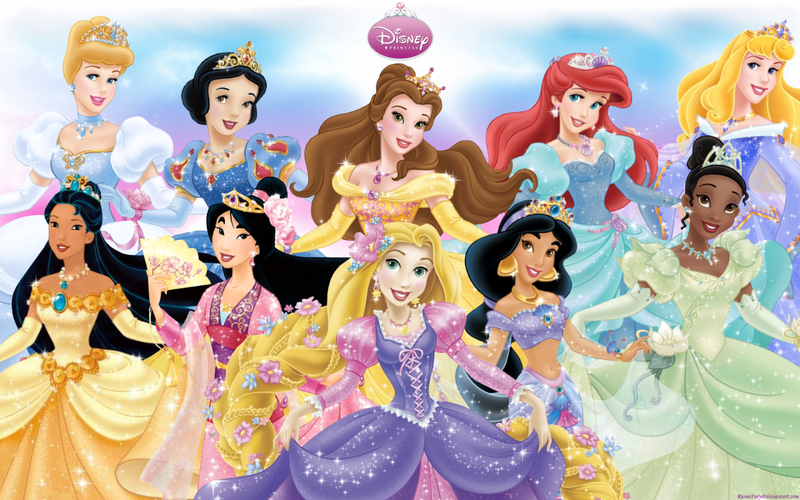 all the lovely ladies of disney princess. 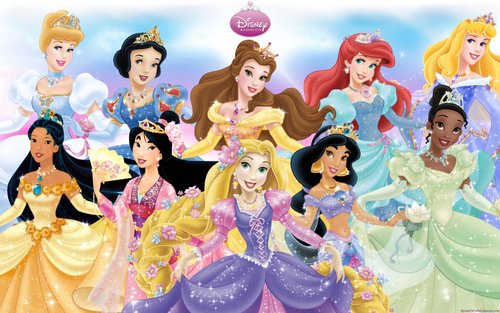 HD Wallpaper and background images in the Disney Princess club tagged: disney princess jasmine belle ariel aurora mulan tiana pocahontas rapunzel. I love love LOVE this picture. They are all so lovely, indeed. I think it's funny that they made Belle's hair much longer. You can tell exactly where her hair should stop and where they added more hair. But eh. ^ Yes! If it was small enough and had them all lined up in one row, instead of two rows. It's a great picture and they all look lovely :) but I'd like to think of it as fan art, they all look a little bit too much for my taste. All of the sparkles and extra details look more like the dresses they sell to seven year olds. I just love tradition when it comes to these things. They look nice though. I really love these dresses but Rapunzel looks like a three-year old trying to dress up like mommy lol! Most Similar Pairs of Princesses- Top 20!! !